The Blacklist’s main problem from the beginning is that it’s a show that thinks it’s so much smarter than it actually is. In fact, The Blacklist is often just downright dumb. Many times, it combines intentionally frustrating choices, stupid decision making and illogical plot developments in a way that is literally laughable. At one point in the latest episode, Elizabeth yells at Reddington to just stop playing these ridiculous games, and it felt like she was reading directly from my notes. “Milton Bobbit” has such a slight plot that I’ll just summarize it in one sentence so I can focus on just what doesn’t make sense here. Basically, Elizabeth discovers that Tom isn’t who he says he is, she finds a mysterious key and Tom’s fake brother mentions something about a case in Berlin before jumping out a window. That’s it. That’s really all that furthers the story along this week. The good news is at least “Milton Bobbit” does feature more of Elizabeth and Reddington working together on a case throughout the episode. 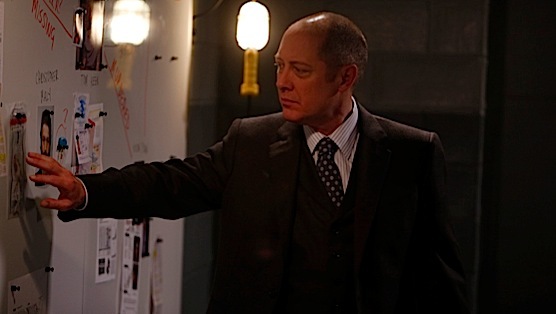 Lately, Reddington has just shown up, given some key information, then mostly bailed on the rest of the episode. Here, he sticks around to figure out who Tom is. Of course, though, Reddington can’t be completely helpful. It’s made clear that Tom has inserted himself into Elizabeth’s life because of her connection with Reddington, yet he still refuses to tell her what that is, which as I mentioned earlier makes her rightfully pissed off. Reddington states that their connection doesn’t matter as much as who Tom works for, but still, I imagine finding out the Elizabeth-Reddington connection would really speed this process along significantly. Tom has suggested that Elizabeth and himself renew their vows, which is clearly a last-ditch effort to keep Elizabeth close. Yet for months now, Tom has been running off and growing increasingly disappointed at Elizabeth, so why would he do that if his mission was to keep her close? It sounds more like the show’s writers had no idea what his arc would be until quite recently. So to keep Tom off of the trail of what Elizabeth is doing and to make her seem normal to everyone, Reddington suggests yet another case that has absolutely nothing to do with the overall show’s story. Good thinking, Red! Now, having Elizabeth split her time between looking into her husband and spending time on the case of Milton Bobbit, she’s spread too thin and looks even more conspicuous. Whenever the team has a meeting on the Bobbit case, she’s always late, until she eventually says she needs to take some time to work out some things about her husband. Really, there’s no need for this other case at all. Milton Bobbit basically recruits people with terminal illnesses to commit murder-suicides in order to collect on life insurance policies that will keep the recruit’s families afloat. It’s pretty convenient that at least 90% of the cases from the blacklist happen on the East Coast, specifically within driving distance for Elizabeth. This is very helpful, especially since not once, but twice in this episode, do the police figure out who the next witness is and stop them mere seconds before they kill others and then commit suicide. Meanwhile, Elizabeth surprises Tom with their vow renewal ceremony. While getting ready, Tom tells his fake brother Craig that he has nothing to worry about, that Tom can read Elizabeth, even though her throwing a surprise ceremony like this is completely uncharacteristic of Elizabeth and proves him completely wrong. For some reason, Reddington also goes all the way to El Salvador to find a Bosnian scientist whose wife cheated on him with Reddington, all in order to lift tissue cells to read the DNA on the hidden key in Elizabeth’s house. I can’t imagine that there was any easier way to figure this out than to go through all this. We’re almost done with The Blacklist’s first season, and it feels just as dumb as when we started. There’s the occasional move towards the right direction, but for every step forward, the show takes three bumbling steps backwards. C’mon Blacklist! Your audience is smarter than this and deserves better. Just quit being so stupid.